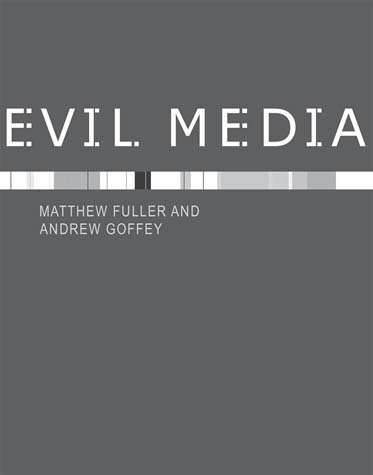 “Evil Media develops a philosophy of media power that extends the concept of media beyond its tried and trusted use in the games of meaning, symbolism, and truth. It addresses the gray zones in which media exist as corporate work systems, algorithms and data structures, twenty-first century self-improvement manuals, and pharmaceutical techniques. Evil Media invites the reader to explore and understand the abstract infrastructure of the present day. From search engines to flirting strategies, from the value of institutional stupidity to the malicious minutiae of databases, this book shows how the devil is in the details. The title takes the imperative “Don’t be evil” and asks, what would be done any differently in contemporary computational and networked media were that maxim reversed. Review: Nicholas Holm (Media Int’l AU, 2013). See also YoHa, et al., Evil Media Distribution Centre, 2013.
odkazy su mrtve, nasla by sa dobra dusa, ktorá by reuploadla?